GCH BISSMonarch Clarion Goddess of the Rainbow AOM "Iris"
by CH Barksdale Lochlaren Liaison AOM "Anthony" x CH Clarion Scintillation "Pinky"
"Iris" GCH Monarch Clarion Goddess of the Rainbow with Scout Smith at National in LaCrosse, WI 2013. Iris won her AOM under j. Gayle Kaye. Iris currently has produced four Champions from two litters. 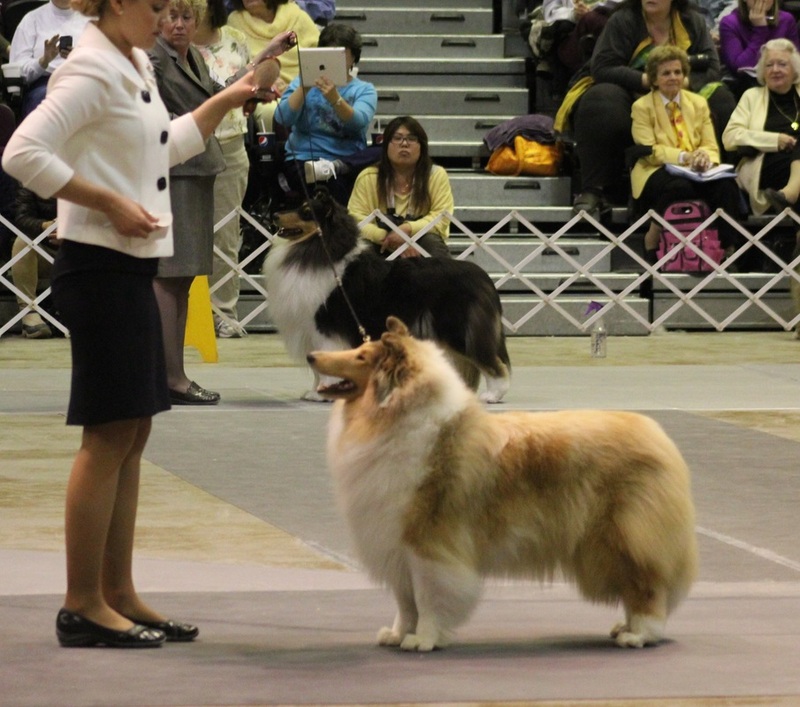 Her daughter, CH Clarion Monarch Promise me Rainbows "Siri", also received an AOM at National 2014 under j. Nioma Coen.